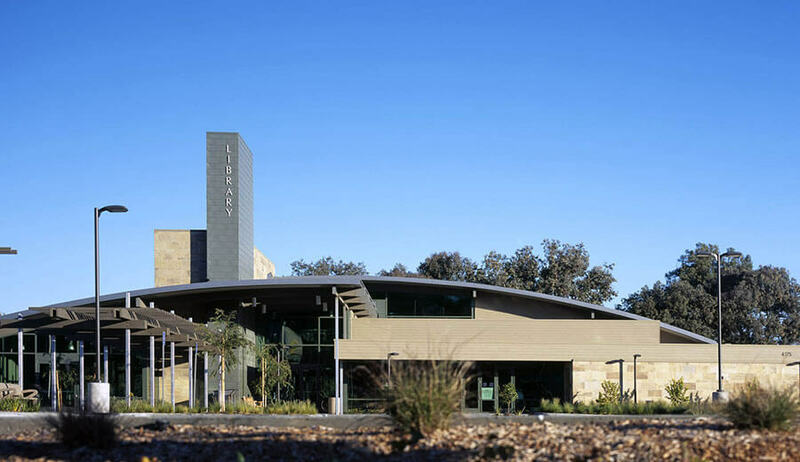 Located adjacent to the first fairway of the Chula Vista Municipal Golf Course, the Bonita Sunnyside Library and Museum included construction of an 8,000 sq. 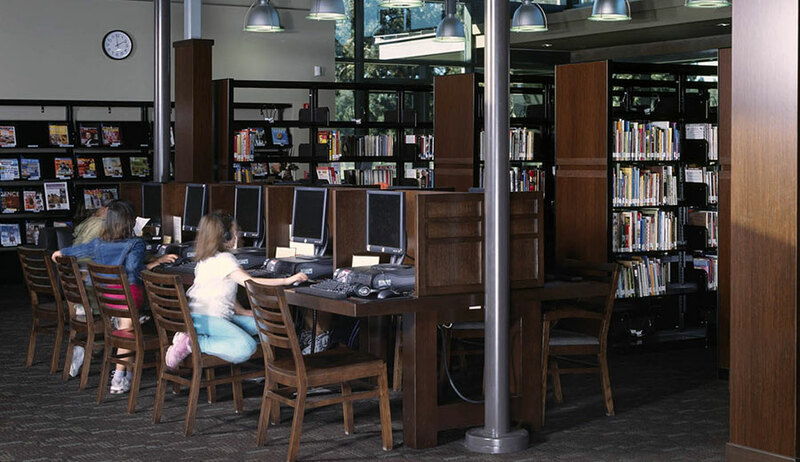 ft. library, a 2,000 sq. ft. community center with full kitchen, outdoor patio and fireplace, a 4,000 sq. ft. community history museum, and a 400 sq. ft. public safety center. In addition to the state of the art computer lab and indoor/outdoor children’s reading areas, other special features include a 45 ft. clock tower, an indoor/outdoor fireplace with travertine finish and fossil inlays, xeriscape landscaping, gauged slate floor fishes, colored and stained concrete paving, and a three-mile shared-use jogging trail. To alleviate traffic congestion and increase pedestrian safety, the facility’s entry was reconfigured with dedicated street signals and the beautification of the existing median, through the application of over 600 ft. of stamped concrete and low water consuming native plant materials. 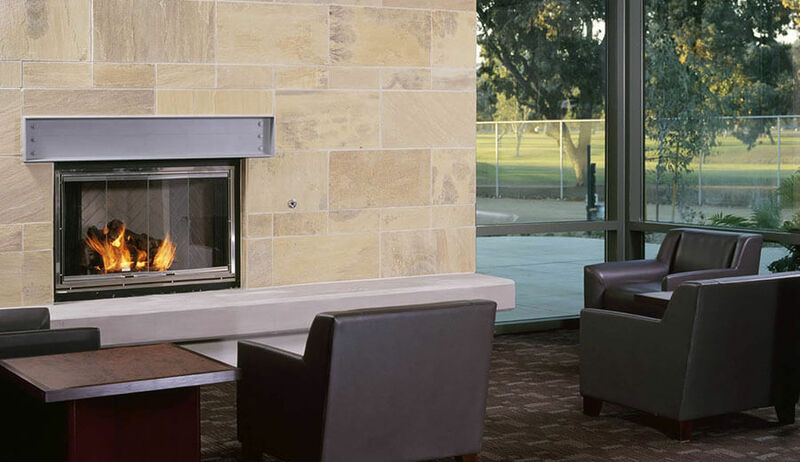 Inside the Bonita-Sunnyside library patrons can cozy up to a gas fireplace after plucking a bestseller from one of the stacks. In the same complex, people can get career guidance, buy books and gather in a spacious community meeting room. The steel framed structure is founded on auger cast concrete piles due to its location in silt-laden soils. The structure features an attractive arrangement of curved metal roof panels, low-e glazing, stucco, masonry and stone finishes. 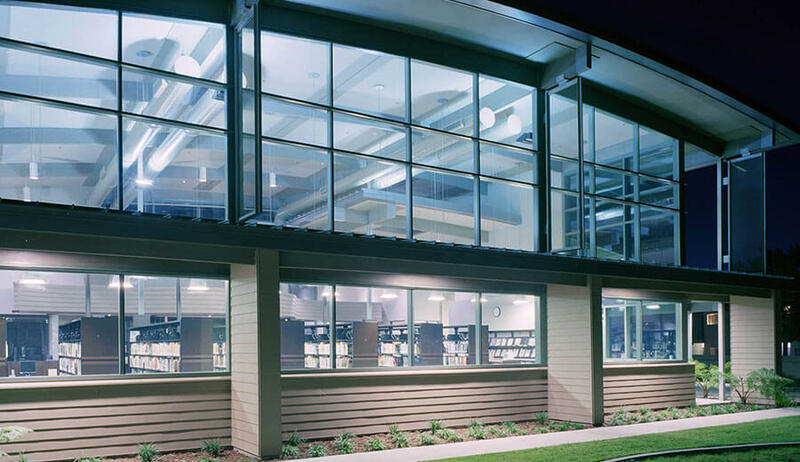 Awards: The Sunnyside Branch Library and Historic Museum was a welcome enhancement to the community of Bonita, CA and was a 2006 Orchid award recipient.